Kasey Kahne will miss the next three races for Leavine Family Racing as he continues to recover from lingering health issues experienced following Darlington Raceway. Regan Smith will once again serve as the team’s substitute driver for Las Vegas, Richmond and Charlotte race weekends behind the wheel of the No. 95 Camaro ZL1. 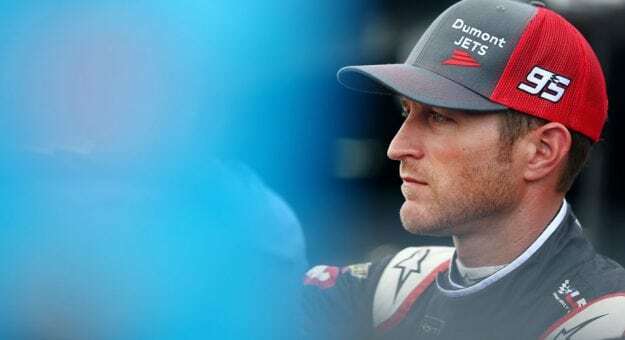 Kahne and LFR announced on Sept. 6 that he would be sidelined for Indianapolis Motor Speedway after his physicians recommended he sit out the race pending further evaluation. Regan Smith was named the substitute driver for Indy, finishing 20th in the race. Kahne offered further thoughts on Wednesday, addressing questions on why he doesn’t just retire now — as he plans to do at the conclusion of the 2018 season. Following the conclusion of the Bojangles’ Southern 500 on Sept. 2, Kahne went directly to the infield care center after experiencing extreme heat exhaustion and dehydration during the final 100 laps of the 367-lap race. In a conference call with reporters on Sept. 7, Kahne indicated that the dehydration had been a chronic problem that increased in severity at Darlington as drivers faced hotter temperatures in one of the longest races of the year. He also noted the health issues contributed to his initial decision to retire. With temperatures in Vegas expected to be in the triple digits, Kahne will continue to work with his physicians on a plan for his health.